Contest Rules: *The contest closes on September 1, 2015 midnight. The lucky winner will be announced within a couple weeks of closing date. The contest winner will be contacted to coordinate delivery of the prize. To enter, you must be a member of United Food and Commercial Workers Canada Union, Local No. 401, in good standing. 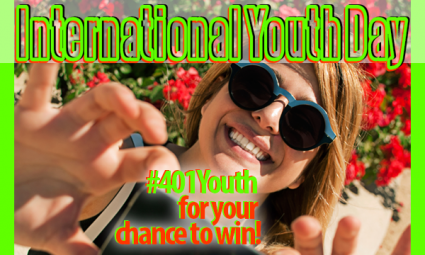 To be eligible to win, you must post your selfie with your favourite youth on Facebook, Twitter, or Instagram using the hashtag #401Youth by the contest deadline above.